Final stories – For the fainthearted . 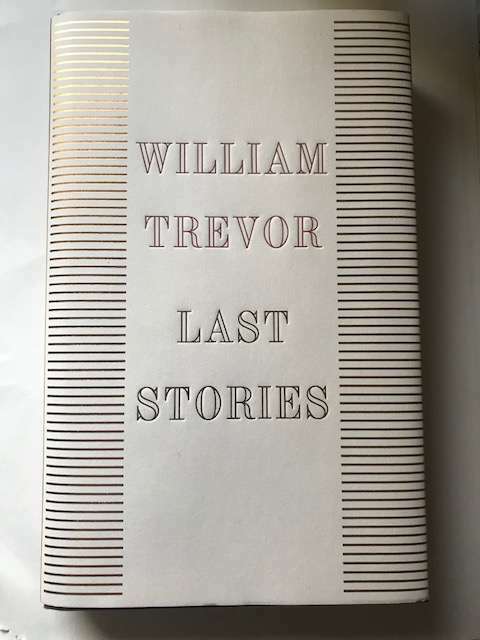 . .
Once, a new book by William Trevor would have been something that I read voraciously, the pages would have been turned quickly, I would have completed the whole book in no more than a few days. Unlike his previous books, I bought his most recent collection Last Stories with almost a sense of trepidation and am reading it as you would eat a box of Belgian chocolates, no more than a taste at a time. 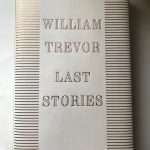 This will be the last opportunity to read William Trevor for the first time. Of course, there is a substantial of body of work that can be revisited, but there will be no more new stories, the canon is complete. William Trevor held a special place in my heart for more than thirty years. For an outsider, a newcomer, like myself, he interpreted Ireland with all its beauty and contradictions, his stories offered profound insights into the society in which I lived, and into the hopes and despairs of individual lives. His sensitive depiction of small town and rural Ireland rang true among the men and women whom I met. The Ballroom of Romance seemed one of the greatest evocations of the quiet despair that filled so may ordinary lives. At a personal level, William Trevor’s clerics seemed, for me, to embody all that was best in the Church of Ireland, to articulate an identity that was fully Protestant and fully Irish. There are two passages that help to capture a sense of William Trevor’s clergy. In Autumn Sunshine, there is the gentle, gracious integrity of Canon Moran, who has ministered for years in his little parish in Co Wexford, and who responds with a commitment to non-violence when confronted with the violent and angry republicanism of his daughter’s partner. ‘The following morning Canon Moran conducted his services in St Michael’s, addressing his small Protestant congregation, twelve at Holy Communion, eighteen at morning service. He had prepared a sermon about repentance, taking as his text St Luke, 15:32: ‘ … for this thy brother was dead, and is alive again; and was lost, and is found.’ But at the last moment he changed his mind and spoke instead of the incident in Kinsella’s Barn nearly two centuries ago. He tried to make the point that one horror should not fuel another, that passing time contained its own forgiveness. He could tell that his parishioners found his sermon odd, and he didn’t blame them. He was confused, and naturally distressed’. In Of the Cloth, there is the love of Ireland expressed by Grattan Fitzmaurice in his conversation with Father Leahy, Catholic curate in the community. They loved it in different ways: unspoken in the dark, that was another intimation. For Grattan there was history’s tale, regrets and sorrows and distress, the voices of unconquered men, the spirit of women as proud as empresses. For Grattan there were the rivers he knew, the mountains he had never climbed, wild fuchsia by a seashore and the swallows that came back, turf smoke on the air of little towns, the quiet in long glens. The sound, the look, the shape of Ireland, and Ireland’s rain and Ireland’s sunshine, and Ireland’s living and Ireland’s dead: all that’. Perhaps William Trevor’s depiction of the church to which he belonged was idealised, perhaps the gentle, softness of the country people he described was idealised, perhaps we will never know whether either could have been possible because Ireland has changed beyond recognition. With each turn of a page of the book, there is a sense of a passing. I think like me, a lot of Irish readers didn’t read him and many others like him for the cut was a tad too close to the bone for comfort. But now I must get on to him. I will say this. And as much of an oddness and contradiction as it may be, so be it. But the CoI is way more of an Irish institution than was the Catholic. The latter being on the island while the former being in it. The Catholic is changing of course, but it’s a bit late now. And while I say the CoI is in the island I’m not so sure that many of it’s members felt themselves so. I suppose what I’m saying is the CoI has all the organic good and insanity that makes up Ireland while the CC was an imposed from outside thought experiment generated about 1860.